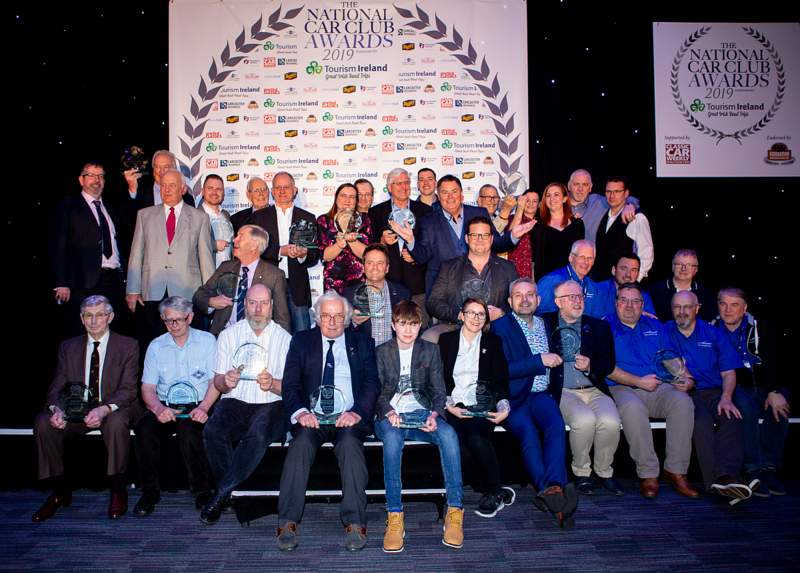 Founded in 2016, the National Car Club Awards celebrate the UK's classic car clubs, which are the heart and soul of the classic motoring community, and the people that are the backbone, constantly working to attract new members and offering unwavering support to fellow owners. The TR Register was shortlisted for three awards this year, a National Car Club Ambassador of the Year, a Lifetime Achievement Award and National Car Club Young Member of the Year for TR Youth Group Leader, Kat Forey. Awards judging panel chairman Lee Masters said: "This year was the toughest in terms of judging in all categories as there were so many strong contenders on the shortlist. The atmosphere in the room on the night was incredible and the support and gratitude for all the winners was immeasurable. Congratulations to all our very worthy winners." This year marks Graham Robson's 25th anniversary as Honorary President for the TR Register. The awards judges said that; "Graham Robson is, quite simply, a legend. He ran Triumph's competition department during the 1960s and has gone on to write more than 130 books on all sorts of classic cars. He is an absolute stalwart, who stays out of club politics, but offers invaluable advice." The judges praised Graham Robson's encyclopaedic knowledge, his regular involvement with the club's magazine and his impressive arena stints with co-presenter Wayne Scott. His work in founding the Standard Triumph Forum was noted, the organisation that brings together all of the Standard and Triumph clubs to collaborate on a variety of projects. 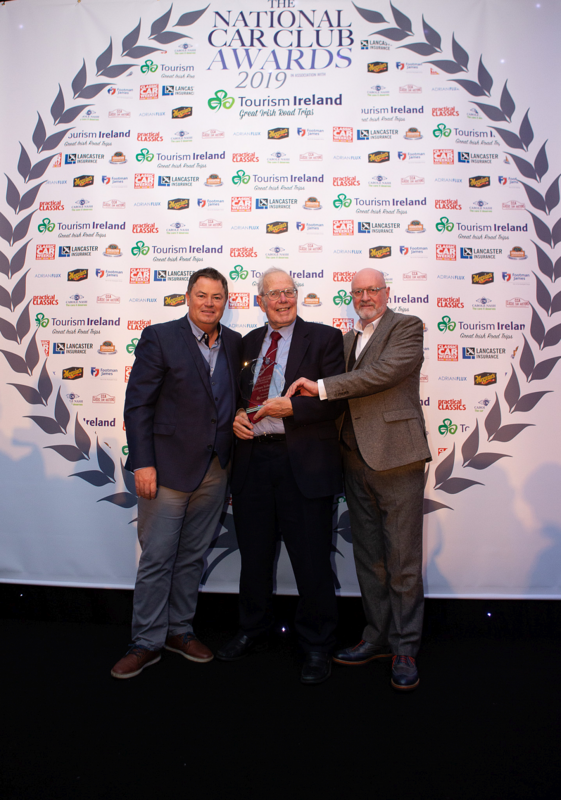 On receiving his award from Mike Brewer from hit TV show Wheeler Dealers, Graham Robson was treated to a standing ovation from representatives of the 174 clubs in attendance at the show - a truly moving moment. In addition, the judges singled out the TR Register Editor and Press Officer, Wayne Scott for special praise and awarded him with a highly commended badge for his work on PR for the TR Register Car Club. The judges said, "The judges wish to Highly Commend Wayne Scott from the TR Register for his flair and tenacity putting Triumph TR models in the limelight and for his work putting together events to support them." Supported by Classic Car Weekly and endorsed by the Federation of British Historic Vehicle Clubs (FBHVC), the 2019 judging panel included David Boyce from main sponsor Tourism Ireland and David Whale, Chairman of the Federation of British Historic Vehicle Clubs (FBHVC), Danny Hopkins, Editor of Practical Classics and David Simister, Editor of Classic Car Weekly.